Hey there! I'm still in Chicago (waves to the peeps I've gotten to see already) but this just can't wait until I'm back home. What can't wait, asks you? Why, as my Hook Me Up! subscribers already know, the cover reveal of Universal Alien is here on my Premieres page, says I. Click the link and check it out in all its beauty! But, exotic travel aside (hey, the Windy City is exotic as compared to Hell's Orientation Area), there's plenty going on to hold you all over until I return, so let's take a look at it, shall we? We shall! First up, the Temporally Out of Order Kickstarter is going strong. There are plenty of great freebies and awards in a variety of support levels, so don't miss out on getting in on this anthology and all the free books and more. Also there are still tuckerizations available, including 2 of mine, so if you've ever wanted to be immortalized in my, or another author's, writings, now IS your time. Next up, see what Amazing Stories thought of Unidentified Funny Objects 3, particularly what they thought of my story in the anthology, "Live at the Scene". After that's whet your appetite, guess what? 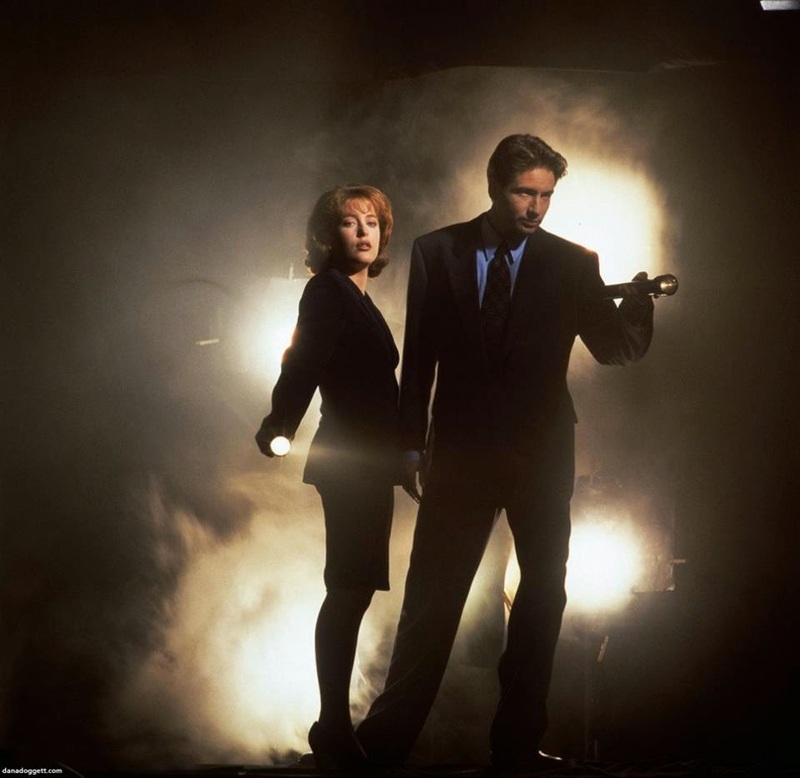 UFO3 is live at the scene in terms of being available in all eformats. And physical copies will be available October 1st! So if you missed out on the Kickstarter, you can still get the anthology now. Then check out the 10 Webcomics i09 thinks would make great TV shows. In addition to some good ones, they list a great one -- Spacetrawler by my BFF, awesome author and artist Christopher Baldwin. Get introduced to a wide variety of cool comics out there for your reading pleasure and don't miss Spacetrawler! I know, I just did this last week, but I already have more stuff to tell you about, so here we go! CHICAGO AREA: September 25-30, 2014 -- Chicago area peeps, if you haven't let me know you're there yet, do so now. I'm setting up very impromptu stuff that I'll be letting you guys know about privately, so don't miss your (very rare) chance to see the me when I'm in your nape of the woods! NOTE: This bookstore doesn't carry my books (yet!) so if you're coming, bring any and all of the bookie wookies along to have them signed! 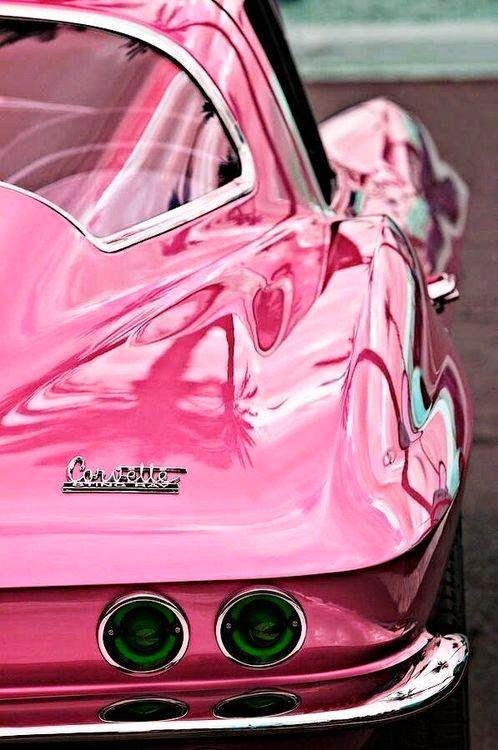 I think Book 10 deserves this car! Well, that's it for today but, as always, more's on the way. But not until October (barring earth-shaking news which, as you know, I'll share with all y'all immediately if not sooner). So, get down with your bad selves while I'm gone, and let's be readers out there. Peace out, my li'l gangstas, and I'll catch you on the far flip side! First up, as I mentioned last week, there's a new Kickstarter in town -- Temporally Out of Order and I'm in it, along with a host of other awesome authors. I'm also offering 3 tuckerizations (where you get to give me a name and I make a character in the story with it -- and while most kill their tuckers, I tend to become attached to mine and keep them alive), 1 of which is already gone. I'm ALSO offering free ebook specials for certain dollar pledges, so definitely check out Temporally Out of Order and get in on this Kickstarter now! 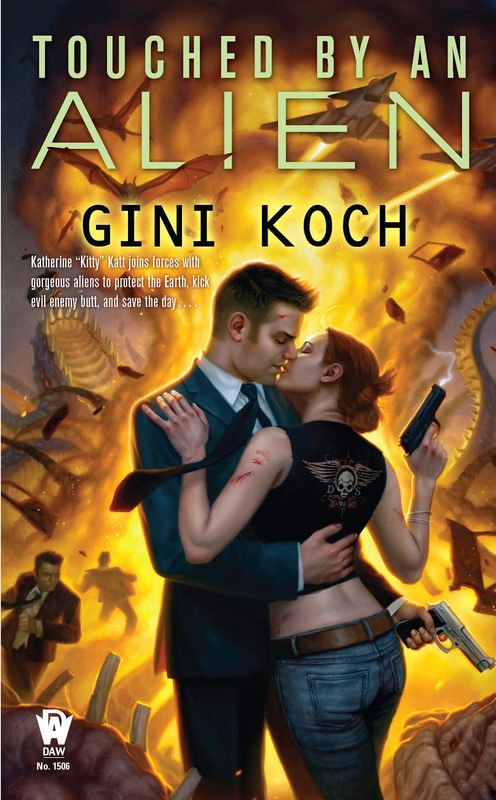 After you've checked that out, head on over to Two Gay Geeks where they've jumped on the Alien train and have reviewed Touched by an Alien. And remember that there's chances to win cool stuff over at Shooting Stars and Bad Guys, open through 9-17, and at Books-N-Kisses, open through 9-30. Clockwork Universe: Steampunk vs. Aliens, featuring my short story, "A Clockwork Alien", is available right now, so if you don't have your copies, get them today. 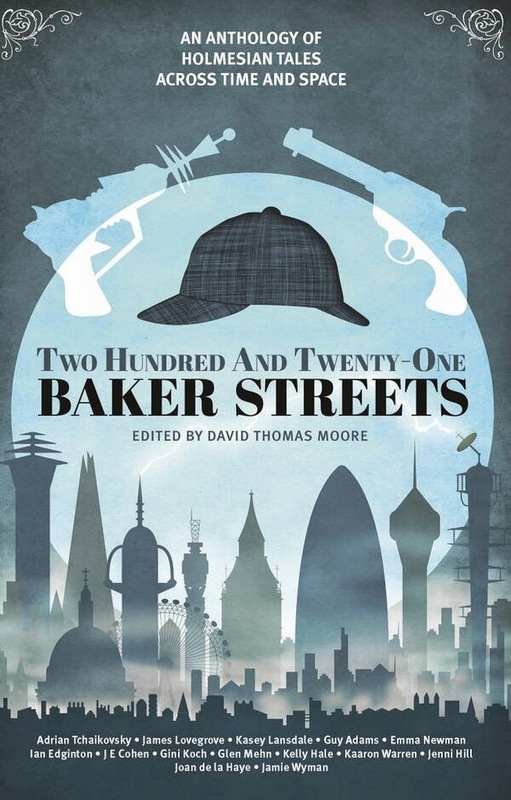 Also, a reminder that you can preorder a variety of works right now as well: Universal Alien; Two Hundred and Twenty-One Baker Streets, featuring my short story, "All the Single Ladies"; The Madness of Cthulhu Vol. 1, featuring my short story, "Little Lady", written as J.C. Koch; A Darke Phantastique, featuring my short story, "Outsiders", written as J.C. Koch; and Unidentified Funny Objects 3, featuring my short story, "Live at the Scene". Preorders matter more and more to authors and publishers, so if you're planning to buy, please do your girl some major solids and preorder today! I'll be a Featured Speaker at the Greater Phoenix MENSA RPG, so if you're in the Greater Phoenix Metro Area over Thanksgiving weekend, come on by and see the me! I'm finalizing details for my December Book Tour, but I will definitely be at Mysterious Galaxy San Diego on December 6th, party starting at 2pm. And it will BE a party, with readings, games, and prizes, so make your plans to be there now! In January 2015 I'll be teaching workshops at the San Diego State University Writer's Conference. This is a wonderful writer's con, loaded with successful authors, agents, and editors, so if you're only going to be able to go to one writer's conference, make this the one -- you'll be glad you did. That's it for today, but as always, more's on the way. So have wonderful weeks, and let's be readers out there! Hey there! Hope everyone's had a wonderful past couple of weeks. Yes, I'm kind of slow on the updates right now because I'm still recovering from surgery, but never fear, I'm always thinking of all of you, promise! And so you can see how I'm thinking of you, head on over to Books-n-Kisses to check out the latest yap about writing AND a contest! Contest is open internationally, there will be not one, not two, but three winners, and it runs through the end of the month. There's lots of winning over at B-n-K, so check it all out while you're there! After that, head over to awesome author T.L. Smith's page, Shooting Stars and Bad Guys. Why? She's at Hawaii Con right now and plans to bring back a lot of goodies, that you could win! Just tell her who you think are the best female science fiction authors and you'll be entered to win! Contest is open through Sept. 17th. Speaking of awesome authors, and since I didn't really give all y'all much of a CopperCon recap, check out what Marsheila Rockwell and Sharon Skinner have to say about it, complete with pictures. 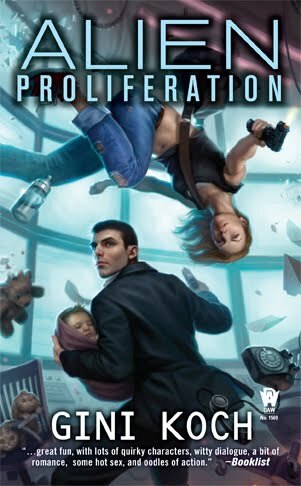 After that, check out what Pages of Forbidden Love thought of Alien Proliferation. After that, see what Piers Anthony -- YES, THAT PIERS ANTHONY -- thought of UFO3/Unidentified Funny Objects 3, which he's in along with moi and a host of other cool authors. Next up, some science. CNET shares the awesomely cool news that astronomers have mapped our address within gigantic superclusters of galaxies. It's extremely cool to see this the way ACE, Algar, and the Superconsciousness Collective see it. It also kind of looks like the Tree of Life in the Thor movies and comics. Science = proving fiction every day! Heading to the movies this weekend? Head over to Slice of SciFi and see what I thought of The November Man. Staying in and reading comics instead? 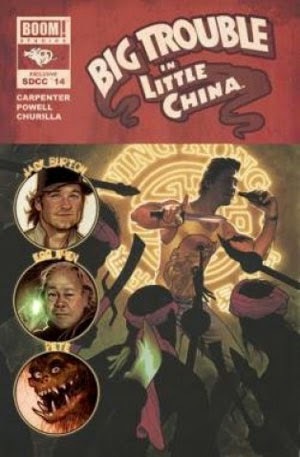 Then hit It's Comic Book Day and check out my review of Big Trouble in Little China #1, which I got for the hubs at San Diego Comic-Con ('cause it's his favorite movie of all time and always makes my Top 10). And feel free to join in and share your thoughts on the movie or the comic, or anything else, over at both sites! 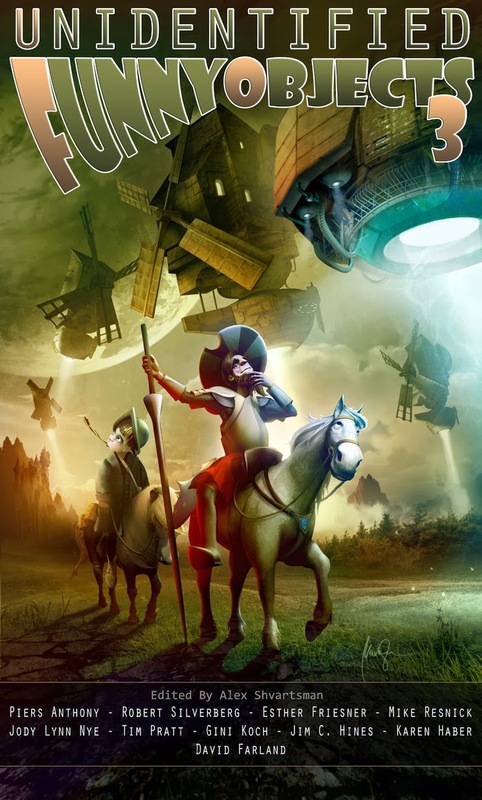 Have you gotten Clockwork Universe: Steampunk vs. Aliens yet? If not, why not? It's now available in trade paperback as well as on all eformats, and it features the first Alien series short I ever wrote, "A Clockwork Alien", plus other great stories from a bunch of cool authors. And, last but not least, there's some exciting news coming next week, from Zombies Need Brains, aka the same folks who brought us Clockwork Universe. What is it, you ask? 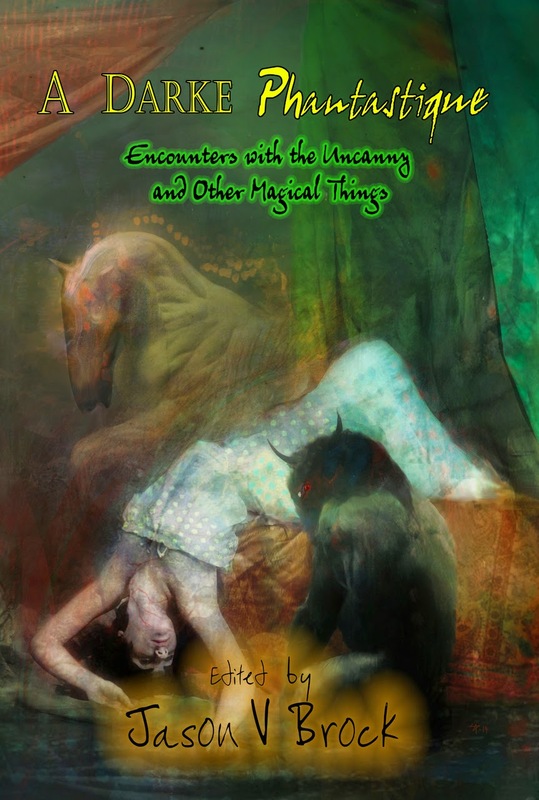 Why, a new Kickstarter anthology featuring yet another new story by moi. 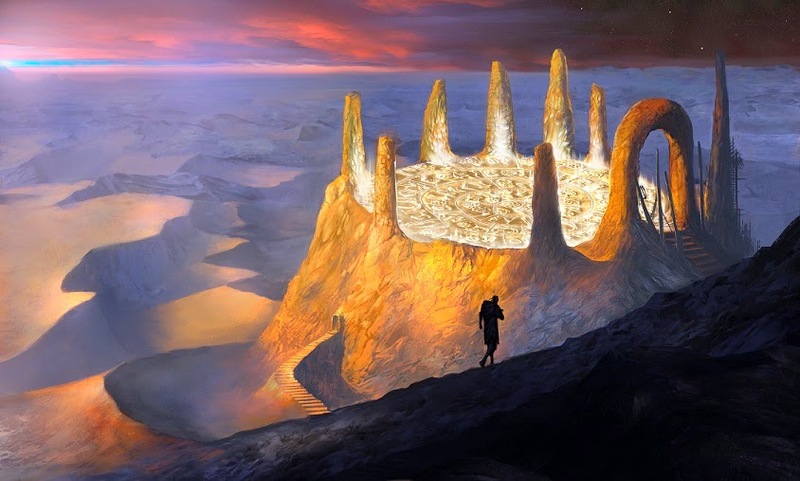 There will be prizes and extras galore, along with the opportunity to get tuckerized in my story, so don't miss out on supporting Temporally Out of Order Anthology (SF&F)! This Kickstarter should go live on Monday, September 15, so check early and often, because the tuckerizations and other cool extras tend to go quickly. And check out this beautiful cover artwork for the anthology by Justin Adams of Varia Studio. That's it for today, but as always, more's on the way. Hope you all have wonderful weekends, and let's be readers out there! Peace out my li'l gangstas, and I'll catch you on the flip side!